“It’s all about Google” – Correction: “It has always been about Google,” at least for small businesses that are looking to improve their outreach. As a small business owner, if you want to get your business in front of the most eyeballs, then we’re pretty sure it’s always going to be about Google, (and you can bet on that). As far as brands and creating customer awareness goes, Google is the be-all-end-all of marketing. It’s no surprise that search engine optimization is getting harder because everyone’s doing it. That means that if you are not using Search Engine Optimization (SEO) to your advantage, then you are leaving some serious money on the table. However, you’re smarter than that, which is why we’ve come up with a list of SEO tips that are crucial for business success. So prepare to take the deep dive into SEO best practices for 2019 and come out the other side a wiser (hopefully, more successful) small business owner. Google ranks a webpage by different factors, one of which is “keywords.” Pages are ranked using relevant singular words or phrases and not sentences or paragraphs to attract organic traffic. From the viewpoint of the searcher, these are the words or terms that are used or spoken into Google’s search engine. Sure, Google’s AI-powered RankBrain which made its debut in 2015 improves and literally rewrites most search queries on the down low, you still need to use relevant keywords if you want to rank higher for local search. Period. And since RankBrain isn’t designed to infer meaning to your queries based on language alone, the keywords need to be relevant to your industry. Google Correlate deserves an entire article of its own. But, here we’re going to just explain the meat and potatoes of what Google Correlate is all about and how it can help your SEO efforts. 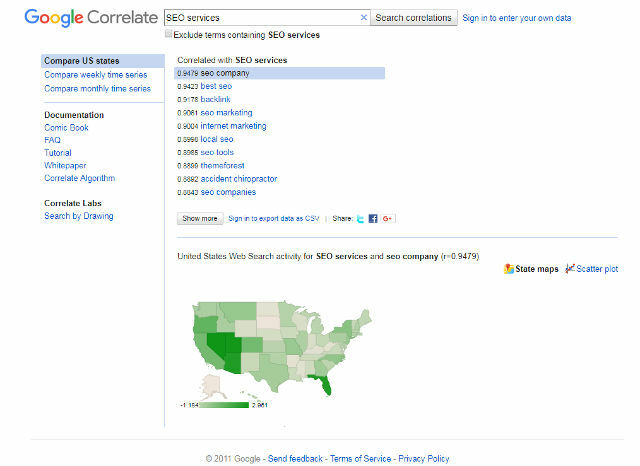 Google Correlate uses Approximate Nearest Neighbor or ANN retrieval and Asymmetric Hashing Algorithm to “correlate” a list of search queries with similar trend patterns for any given keyword. Think of it as Google Trends, in reverse. The tool is extremely powerful, but surprisingly, not many people use it. The Keyword Planner is another amazing tool, courtesy of Google that allows users to identify specific words and phrases that are relevant to a business niche, product or service. And the best part is that it’s 100% free. You can use the Google Keyword Planner tool to reverse engineer the sites of your competitors to generate relevant keyword suggestions or track keyword data over time. Normally, SEO specialists pick a basket of keywords that are relevant to their industry or niche. In this basket, there’s the captain or the one keyword that they would preferably rank for on Google and a number of long-tail keywords that can almost immediately help pull traffic to your website, and link to mid-tail keywords before eventually ranking for the captain or head term. Since there is not one-size-fits-all approach when it comes to using keywords, small business owners need to be careful while selecting the right keyword that can describe their services perfectly. When comparing both short and long tail keywords, the latter seems to be more effective in resulting in a higher search ranking for local search. When using long tail keywords, make sure they are relevant to your product or service. Keywords Everywhere is a great online tool to help you find relevant long tail keywords. Rather than shooting arrows in the dark, generating topic ideas for your local audience has always been an industry best practice. While this may seem difficult, if you are not creating content that’s locally optimized, then there’s no way for you to reach your local audience. A good way of trying this is by newsjacking local news or events to plug your product or service. However, try not to be too obvious while doing it. The page title or title tag works as your name in the digital landscape. Just like introducing yourself when we meet someone, the title tag is going to tell the viewer who you are and what you do. A title tag is displayed as a clickable headline on the search engine results page. The optimal length of the title tag is 50 to 60 characters, with no exact character limit. That said, normally, a title will max out once it reaches 600 pixels, so ideally, you’d want to get the keyword before it reaches 60 characters. The H1, H2 and H3 tags are known as header tags. The H1 tag is the title of the page and should always include a relevant keyword, while the H2 tag is the subheading and should contain similar keywords as the H1 tag. Similarly, the H3 works as a subheading for the H2 tag, and so on. All three are important for on-page SEO. Alternate text or alt text for short is an attribute that’s added to an image tag in HTML. This is the text that appears in place of an image if the image was unable to load on a page. The alt text you use needs to correctly identify the contents of the image for it to be useful not just for SEO but for the visually impaired. If you really want a fruitful SEO campaign, then you can’t ignore the importance of an Anchor text, mainly because of the importance of backlinks. While it is also one of the ways in which Google gets to flex its muscles against spam or over-optimizing websites, generic anchors, exact match anchors, partial match anchors, LSI anchors, brand + keyword anchors, image anchors, no-text anchor, and naked link anchors are all useful to SEO. Just as niche marketing pertains to attracting a specific audience, you need to use keywords in the same way, especially when it comes to local SEO. Once you’ve come up with a niche that fits you, use relevant keywords that will attract a target demographic. You can keep track and monitor how specific keywords work by using various tools that are available online. Google My Business is an amazing free tool that allows your business to appear higher on Google Search and Maps. Google My Business is the best place to start if you want to increase traffic to your business website. To do that you will first need to claim your business by creating an account on GMB to get your business verified by Google. This has always been a favorite topic of debate amongst webmasters and SEO specialists. It is defined by the percentage value of the number of times a particular keyword appears on a single web page. The above mentioned data is a formula to show you just how Google tracks keyword density. At the recent Google webmaster event at Google’s NYC office, Google webmaster trends analyst, John Mueller talked about how the traditionally word-friendly company is shifting its focus to images. Mueller also revealed how Google plans to drop Google Search Console altogether and replace it with mobile-first indexing, which according to Mueller, is the future. The reason for this is because Mueller predicts that in the not so distant future, searchers will be using images to find what they are looking for on Google. All the more reason for businesses to include alt text to the images they use. Link building can help with your SEO efforts, but only if it’s done the right way. One of the ways in which Google evaluates your link building efforts is through link analysis using historical data. This means that before a search result is displayed on Google, the links within the pages are explored, which is a lot similar to the HITS algorithm which was released by Google back in 2003. This means, linking to relevant websites can help boost your own position on Google. Page segmentation has always been a big topic for link building. While link building may be a chaotic process, a look at the current search engine trends reveals that Google does give different weights for different links which are mainly based on the location of the link on a page. This is an important technique for effective keyword generation for relevant keywords. Once you have found keywords that are relevant to your business, product or service, keyword stemming is used to either add a suffix, prefix, or a pluralization to create a new word. The inclusion of different variations of a relevant keyword is thought to increase the visibility of a web page by making it easier for Google to crawl the contents of the page. Ever clicked on a link that’s taken you to a webpage filled with a whole list of words? As annoying as it is for you, the user, it’s even more annoying for Google, and often gets a website penalized. The process called spamdexing or webspam is frowned upon by Google which is why it should be avoided at all costs. In SEO terms, the acronym ‘NAP’ stands for Name, Address, and Phone number. This data has been closely associated with search and geo-location and as a result, can significantly increase traffic to your website. To make sure you can take advantage of NAP the data provided needs to be consistent across all online platforms, including social media sites and online directories. Nowadays, searchers don’t turn to the fat phone book yellow pages you found in a phone booth (remember those?). Searchers use trusted online business directories or Google to find what they are looking for. This means adding your location to these online directories can help get your business found. Online directories don’t only help a website get backlinks it also provides a new listing in Google for every directory your company is registered in. Needless to say, having your business name in online directories such as Yellowpages.com, Whitepages, BizJournals etc., can easily strengthen your reputation. Rich snippets provide more information on whatever you are searching. Although using rich snippets does not help to rank your webpage, it does offer some indirect SEO benefits by making a webpage indexable and better-targeted metadata. As you can see in the picture above, rich snippets look better as compared to normal snippets which only include the clickable link and a meta description. But, there’s a catch. Google will only include a rich snippet if you have added structured data in your website. When it comes to the topic of structured data the names JSON-LD or Schema.org are some of the few names that are floated around. But, what is structured data exactly? It is basically a code that’s used in a specific format to make it easier for the search engine to read and understand. Google encourages business owners and webmasters to include this code into their websites to display “richer” results. In this way, you can use structured data to “talk” to Google. More than 475 of US consumers say that Facebook has an impact on their decision making which makes it safe to say that having a social profile can do wonders for your business. As mentioned earlier, having a social profile can be a great asset to any business. But, not all social media platforms will give you the same results you are looking for when it comes to visibility. That’s because different social platforms cater to different audiences. The trick here is to find out the platform where you can find the most of your target audience for better engagement and to increase your chances of conversion. WordPress offers a whole host of plugins that can be used for SEO. Those who are not already using WP plugins such as Yoast SEO or SEOPressor are seriously missing out. These plugins give the user complete control over their on-page SEO efforts and can help structure your website according to the leading best practices. Along with utilizing free WordPress plugins, small business owners and webmasters can also use a number of free SEO tools that are available online, such as Google Keyword Planner, Keywords Everywhere, SEOQuake, Alexa Toolbar, and the Moz Toolbar to increase their searchability. 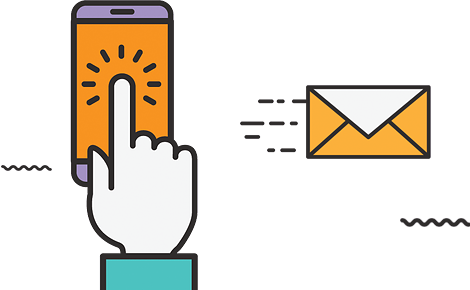 The ways in which email marketing can improve SEO results have been widely documented. For instance, emails that include links can encourage people to engage with your brand. It also allows visitors to share your content with others, which is always good for business. For those of you who are unaware, LinkedIn Pulse is LinkedIn’s answer to Facebook’s Newsfeed. The service which is also available as an app allows users to read the most recent news in real time. Publishing your articles on LinkedIn with the relevant keywords can help LinkedIn’s algorithm assign the content to one of its 100 featured channels, increasing your exposure in the process. The best part about publishing articles on Linked Pulse is that it can help build traffic over time and increase inbound traffic to your profile. It can also help in growing your professional connections. Just writing articles and blogs that have been keyword optimized is not going to be enough to rank higher on the SERPs. A business website or Business profile are good options to publish and share your content on. But, to get your content in front of the most eyeballs as possible, you will need to publish your content on various high authority platforms as well, such as Medium, Reddit, Twitter Brand Accounts, Pinterest, LinkedIn, Instagram and many more. If you’re worried about using platforms that are normally reserved for sharing images, then just use a high-quality image with a portion of your content and a link to the rest in the caption. The “allintitle:” was a nifty little trick that was first introduced by Google. It is basically a search operator that can display results containing your search terms in a meta title tag. Being this specific means the results you get for your search term won’t be in the millions, but in the thousands or hundreds depending on the keyword and niche. This can allow you to see who else is using the same keywords so that you can optimize your pages accordingly. We briefly mentioned how you should avoid creating spam or else get penalized by Google. But what can you do about the spam that finds its way to your website? To deal with this problem Google allows webmasters to replace the “rel” attribute of a link to “nofollow”. This is a simple, yet effective way to let Google know that certain pages within your website should not be used to gauge your website’s reputation. For instance, if you frequently post blogs on your business website, which is a common practice, if the comments section is turned on, the links contained in the comments section could pass on your reputation to other websites, some of which you might not be comfortable with, such as pornographic sites or online scams. Older websites and domain names are a lot more valuable than newer ones, at least, for Google. That’s one of the reasons why larger media companies are buying up smaller ones, then linking all of their content to the new site, creating a giant network of authority sites in the process. While there are those who say that Google focuses on when connect was indexed and not solely on parked domains, buying aged domains could help. While using the keyword in the title tag and H1 tag is SEO-101, users have to be careful with the number of times the keywords are used in a webpage or else they could be penalized by Google for keyword stuffing. The KGR should always be less than 0.25. The ratio works like this: the number of page titles that use the same keyword or keyword phrase on Google’s search engine results page divided by local monthly search volume where LMS will be less than 250. Being indexed in one of the 100 webpages by Google for that particular keyword would not be a problem if the ratio is less than 0.25. The lower the Keyword Golden Ratio is for your desired keyword, the better its chances of ranking higher in the SERPs. Google Maps offers so much more than just giving your customers the directions to your business. It helps build trust with your audience who can use the feature to learn more about your business. 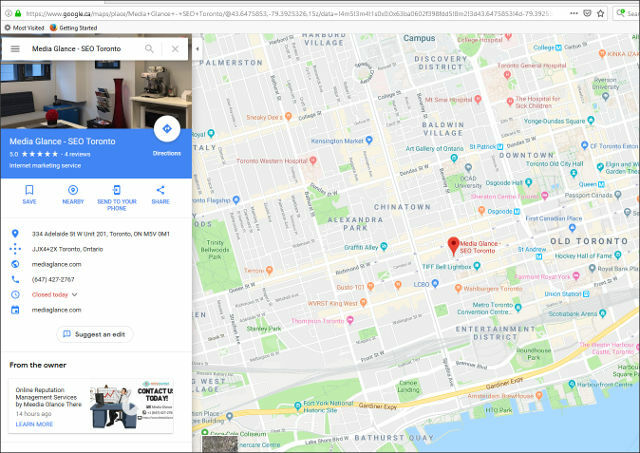 Furthermore, Google Maps also allows all those who are interested in your business to go beyond the front door of your business via a street view and take a virtual tour of your business. Google’s algorithm blurs faces so you don’t have to worry about any privacy issues, which is another plus point of using the service. “Content is King” is more than just a catchy cliché. While search engine optimization is a complex process that’s broken down to various on-site and off-site factors, the one factor that’s crucial for better ranking of a webpage is always going to be the quality of its content. When it comes to creating unique content, all content creators must ensure that their content is relevant, high-quality, well-researched, and well-written. There’s an incredibly high amount of content that’s available online, which means it’s not going to be easy to get your content to rank higher, but it is possible if you create unique content that has been written for humans and not for bots. More often than not, people try to impress Google when creating their content. Whether its content that is going to go on their business website or their blog, the content that’s created for bots will usually have plenty of keywords that although may be relevant to the business, ends up being stuffed with keywords that are obviously used so that it can be indexed by Google’s bots. By creating content that doesn’t speak to the reader you end up alienating the searcher or potential customer who could be interested in purchasing your product or service and becoming a paid customer. To make sure that never happens, always create unique and relevant content that’s informative and entertaining to the reader. Many times, content creators make the mistake of creating content that reads like a sales pitch of a salesperson. This is the last thing you want your content to sound like. That’s because the days of using cunning sales techniques in your content are over. Nowadays, consumers are looking for information when they search online and not for a sales pitch. Besides, content that sounds salesy is less effective as compared to the content that informs and inspires the reader, which is why content creators need to focus on the latter. Split testing blog titles using Google search is an ingenious way of increasing traffic to your website. If you’re using a software, simply come up with different titles and track their clickthrough rates, or you can use a particular title and then change it after a few weeks to see which one performs better. Split testing your blog titles is a great way to know which of your titles pass the audience’s sniff test and garners more views. Some of the best options out there for split testing blog and article titles are A/B Press Optimizer, Optimizely, and YoRocket. Some of the free online options are ShareThrough Headline Analyzer, Emotional Marketing Value Headline Analyzer and CoSchedule’s headline analyzer. Internal links are a great way of indicating overall value of a website by linking to other high-quality pages within the website itself. In fact, linking internally can boost even relatively low-quality webpages in some cases as well. There are two types of internal links; a relative link and an absolute link. The former does not explicitly include the domain name or protocol, which leads Google to assume that it refers to the same domain, while the latter clearly specifies both the domain and the protocol. Creating a shallow website structure is usually considered best practice for SEO. This means each page within a website can be reached within two to three clicks from the homepage. Google values internal links so much that it allows 1000 links per page (including the header, footer, sidebar and menu). Creating content hubs is also known as “spoke” pages, which link back to the central page within a website. This internal linking strategy is a favorite practice of SEO specialists since it offers plenty of benefits. Apart from building topical relevance in your content with regards to your niche, the strategy also drives link authority. For instance, by using many internal links that link back to a single page, it improves the ranking of that page. Content hubs come in two types; a true content hum will follow the strategy precisely, while a descriptive navigation hub will use universal site navigation for linking back to the hub pages. Each of the two types come with their fair share of advantages which is why small business owners need to experiment with both to find out what works best. Let’s say one of the blogs you have has loads of informative content and as a result, is attracting lots of readers. That collective link juice of similar blogs on your website can be used to promote another one of your posts that’s not doing too well on the SERPs, as in, a blog post that’s sitting on the second or third page of Google, aka the low hanging fruit. Certain online tools such as the InLink Rank powered by SEO PowerSuite can make a huge difference to the way your webpages rank online for specific keywords. Regardless of the size of your business, your reputation is always going to be your most valuable asset. This is where your online reviews are going to matter the most for the reputation of your business. 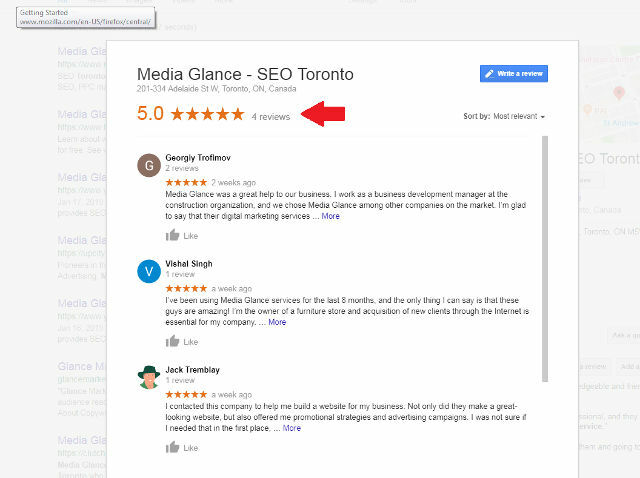 Apart from influencing customer purchasing decisions, online reviews can help boost your SEO ranking by building trust with potential customers. It can also help boost landing page conversions. While having a business profile on all social media platforms may not do much for your SEO ranking, the number of social mentions your business has will. Since almost all of the major social media platforms use nofollow for all external links, resulting to the links passing no SEO juice to your website, social media platforms are not looked at as a viable option to increase a website’s ranking. But, that’s not entirely true. Using social media to boost page rank involves passive attempts by the small business owner which will ultimately depend on the third party to take action without being pushed by a business’s marketing efforts. As a rule of thumb, content creators can make a list of their “evergreen” and re-share it at regular intervals. The idea is to create more positive brand mentions which will force Google to think that the particular business deserves attention. While social media platforms will not help you in your SEO efforts, you should do all you can to fan the flames that are going to get you more positive brand mentions on various social media platforms. If we’ve learnt one thing from Google’s recent Accelerated Mobile Pages (AMP) errors is that there’s no need to panic when your plan goes south or doesn’t create the expected impact on Google. Recently, Google has seen a flood of complaints from the likes of publishers, developers and webmasters who are all facing issues with their AMP. When it comes to certain issues such as these, there’s really nothing any SEO specialist of webmaster can do but wait for the folks at Google to resolve the issue. So, if you experience something similar there’s no need to panic and try to change your strategy. While it is not advised to panic when met with certain issues that originate from Google’s search engine, it would be a bad idea to let non-performing pages sit where they are. Small business owners can keep their fingers on the pulse by constantly evaluating which of their webpages are performing well with regards to SEO and which aren’t. If the rank of a particular webpage hasn’t improved for a while, then it’s probably best to perform some SEO tweaks to improve its rank on Google. Needless to say, Google’s algorithm updates are directly proportional with SEO results. Since Google sets the rules when it comes to search engine optimization and which webpages get to rank lower or higher on the SERPs, it pays to pay attention to whatever Google is telling you. 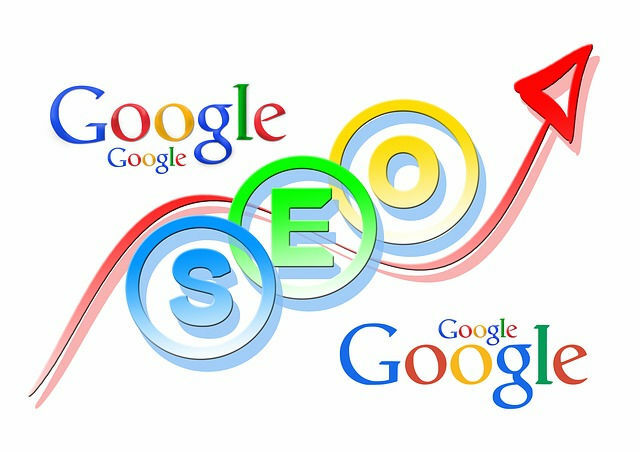 This includes, staying abreast of the latest updates, even the broad-core updates (those which are not specified by Google) to its search algorithm so that you can plan your SEO strategy accordingly. As a small business owner, you need to prioritize Google above all else if you want your business to rank on Google’s most coveted real estate – the first page. A good example of this can be given of the August 1st, 2018 update, which was dubbed by many as Google Medic, which affected only Your Money Your Life (YMYL) websites, as in, websites that offer information on financial or health issues. We mentioned earlier how certain WordPress plugins can be used for SEO, but even too much of a good thing can be bad for you. Developers and SEO specialists have pointed out some major issues with using too many WordPress plugins for a website to improve search engine optimization. While a plethora of WordPress plugins have been identified to significantly reduce the speed of a website, there is a sweet spot for WP plugins that can be used from the 50k plugins that are already available. Many in the SEO industry agree that currently, anywhere between 5 to 20 plugins can be used by a particular website whether it’s being hosted by cloud, VPS or a dedicated server. A good rule to keep in mind when using WordPress plugins is to make sure that your website can load in less than three seconds. This can be intimidating for some small business owners, but since 40% of searchers normally abandon a website if it takes more than 3 seconds to load, it’s a good rule to live by when creating a WordPress website for your business. Small business owners need to pay attention to the load time of their website not only on traditional PC screens and laptops, but across multiple screens. This will mainly include optimizing your website for mobile devices since it’s definitely considered the future of search. Few people know this, but websites are devalued by Google during the first few months of their existence. That’s why it’s extremely difficult to rank well for any competitive keywords during those first few months after Google discovers your website. This is one of the reasons why SEO experts normally don’t like working on domains that have been newly purchased. The point is, you need to have patience. Let’s face it. Whether we’re using written text and keywords to attract viewers or images as predicted by Google webmaster trends analyst, John Mueller, or whether someone comes up with a search engine that reads minds, we are always going to need search engine optimization for ranking higher in Google’s search engine page. Following the aforementioned SEO tips should help your website’s Googleability, if it doesn’t, you probably need a doctor or, Media Glance and here’s why; If you don’t know where to begin, Media Glance has a Team of Certified Professionals, such as Social Media Marketers, SEO Consultants, Web Designers, Web Developers, Content Marketers, and PPC Managers who can help you out with your Digital Marketing Strategy. You’re probably thinking that the tips mentioned here are a lot, but you will need to work on all of them if you want your business to rank higher on the SERPs.